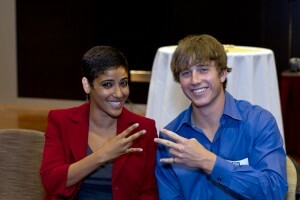 Students show off their Sun Devil pride and pinky rings at last year's Order of the Engineer ceremony. 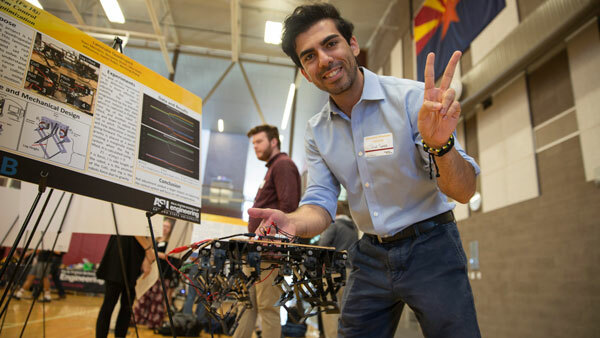 Students and graduates of the Ira A. Fulton Schools of Engineering are innovators and explorers solving the challenges of today and the future. Many of them take a public vow of their commitment to individual integrity and responsibility to the engineering profession through the Order of the Engineer Ceremony, an event that honors those who have chosen the engineering profession. Similar to the Hippocratic oath, the Order and the Obligation serve as ceremonial reminders that the primary purpose of engineering is to serve the public and that all engineers share a common bond. 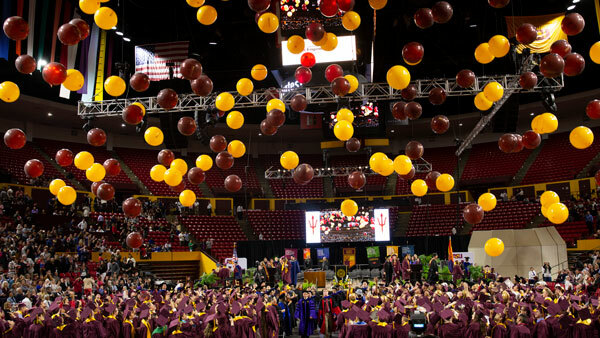 The lifelong pledge is offered to all graduating seniors and alumni of ABET-accredited programs as well as Professional Engineers licensed in the United States. All engineers who take the Obligation receive a ring to be worn on the fifth finger of their working hand to connect them to their work. It is a constant reminder to the engineer, and those that work with the engineer, of their oath. Encourage your graduating seniors to participate and attend yourself to take the pledge or volunteer at the event.